Who do you think wrote this line? The sentiment certainly sounds familiar, doesn’t it? In an age of drone strikes, IRS bullying, NSA spying programs, and a litany of other popular complaints, more and more U.S. citizens—including many Christians—are decrying the role of the State (with the capital “S”) in their lives. People do not trust the government and are more than ready to call politicians liars and thieves. I wouldn’t be surprised if that opening sentence were to make its way onto a vaguely blurry image of something patriotic and spread like wildfire across Facebook. Which would almost certainly make Friedrich Nietzsche spasm violently in his grave. In fact, Nietzsche went so far as to label the State “the new idol” that exists only to oppress and control the many people (“superfluous people,” though that’s a different issue entirely) under its watch. How hard would it be to walk into a supermarket or a school (or a church) and find someone who basically agrees with that premise – that government is necessarily and exclusively tyrannical? In most parts of the country, I wager that the time frame would be best measured in seconds. 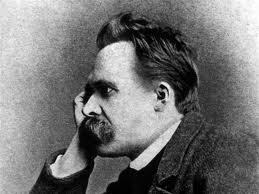 But, as Christians (and as rational thinkers), we should always take Nietzsche’s words with several grains of salt. What would the Bible have to say about this description of the State? Yes, yes, yes, we certainly want to remember Romans 13 and its important recognition that all governing authorities are put in place by God for His purposes, but we should also remember that this comes only a page or two after Paul’s point in Romans 8 that God works in present sufferings to bring about predestined outcomes. Without diverging into a lengthy (but fascinating) discussion about the difference between God’s perfect will and His permissive will, we should be able to agree that Romans 13 is describing how God works even in flawed governmental structures (like States), even if an ultimately better structure for social organization is possible. Especially in light of 1 Samuel 8. Here we find the nation of Israel crying out to Samuel to give them a king so that they can be like all of the other nations around them. Up to this point, they had sometimes been led by a gaggle of judges raised up by God during times of need, but primarily looked to God to judge them and lead them in battle – the two things the people specifically asked for a king to do for them in verse 20. Instead of being a nation of people led by God, the Israelites wanted to live under a king—a State—that would be distinct from them as a body of individuals. This question is still a live one: is the government simply the collective force of many individuals, or is it a separate thing that works over/alongside/against/with them? Scripture seems to lean towards the latter. See, 1 Samuel 8 employs a fun writing technique called a leitvort to underscore its point: that the institution of a State in place of God is a mistake that Israel will regret. Over and over, Samuel’s warning to Israel repeatedly uses the same word to describe what a king/State does: take. The king will take from the people and give to the State and the State will then go on to do as it wills. It will take people, money, and property, “and you will cry out in that day because of your king whom you have chosen for yourselves, and the LORD will not hear you in that day” (vs. 18). This passage and its leitvort predicted precisely what Nietzsche and so many others today complain about. As Christians, we can do one better than the German philosopher in explaining why: we have substituted imperfect, ambitious, sinful humans for a perfect God. In His mercy, God can still work in that flawed situation to bring about good ends, but we shouldn’t be surprised when politics sometimes feels like slow suicide. We should, however, always look to our God who redeems and focus on (and work towards) His ends, regardless of the imperfect and sinful situation that we have put ourselves in. The passage in I Samuel reinforces the old aphorism, “Be careful what you wish for, you just might get it.” As a society we have for quite some time been wishing for somebody to feed and care for us. In response to our pleas, politicians have pandered to our requests, offering more and more programs that result in a dependency upon the State for our well-being. The cost of this beneficence is a relinquishing of our freedom – financial, religious and personal. There is a hew and cry throughout our nation over the corruption of our leaders, yet we continue to elect the same people into office (based largely on their continued promises of patronage) and are surprised when nothing changes. The definition of “insanity” quickly comes to mind. Thanks for the comment, Ray! It is indeed a strange situation when we both a) rely on the State for our well-being (even to a partial degree) and b) complain about the State’s lack of trustworthiness (which, as you allude to, often boils down to the self-interest of individual politicians and their re-election prospects outweighing genuine large-scale benefits). Again, what do we really expect when sinful, self-interested (*cough-Fallen-cough*) people are making decisions for us all? The economist Milton Friedman had a great recommendation for navigating this problem: “The way to (fix Congress) is to make it politically profitable for the wrong people to do the right things.” Ideally, term limits could help mitigate a politician’s self-interest, but the system is simply not yet set up for such things (something Thomas Sowell had some excellent thoughts about). This is not to say that the State is wholly incapable of beneficial programs or policies, but – at the very least – we should primarily approach the realm of politics as we would a sleeping dragon: respectfully aware of its destructive capabilities and the need to control (rather than revel in) those tendencies.